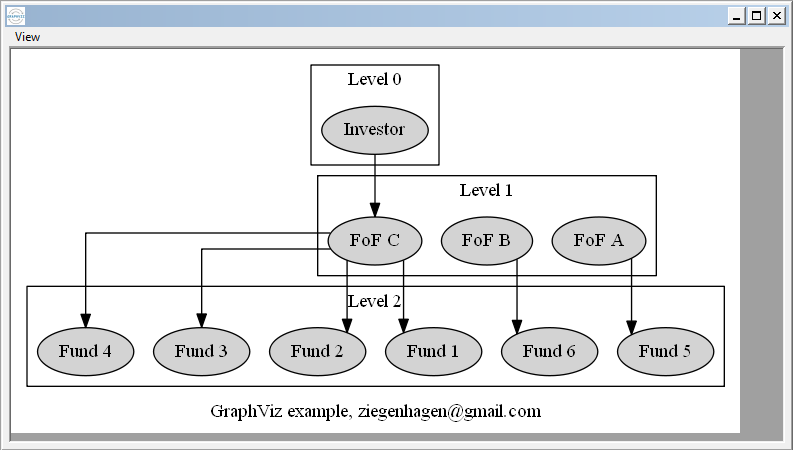 Here’s a nice example of GraphViz visualizing Fund structures. In this article I’d like to show a little bit about how to manipulate the style of the nodes and edges. The graph uses orthogonal edges, red edges and green boxes with blue filling and white font color. Note that the URL can only be used in the SVG version, the PDF representation does not support it. I knew of its existence for quite a while but never managed to take anough time to get a closer look. Driven by my job however (the setup of a Private Equity fund of funds involves different legal entities) I decided to give it a try. 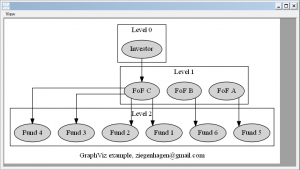 Graphviz was developed at the famous AT&T labs and released under Eclipse Public License. It consists of a set of binary tools that are able tranform Graphviz’s description language DOT into graphics. Until further notice I will use dot, one of the binaries, to transform the examples into PNG. There are other converters like neato, which differ from dot in the way they calculate the distances between the nodes, etc. Working with Graphviz involves defining nodes and edges between them. See the following, non-minimal example. I use a digraph (other types like e.g. 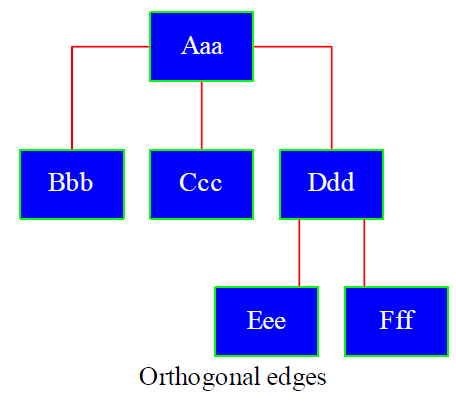 graph are available but I didn’t look up the differences so far), define two nodes a and b and and edge between them.